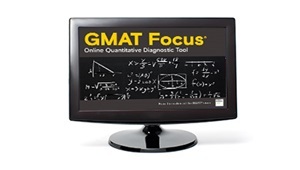 GMAT Focus is an official online diagnostic tool that consists of three computer adaptive tests. The tests consist of 24 quantitative reasoning questions which are to be completed in 45 minutes. The questions are extremely difficult and most students should expect to get less than half right. The three tests are adaptive and will serve a different set of questions depending on how well you do. Also, there will be no repeat or overlap between the questions presented to students in the three diagnostic tests. The links below organize video explanations to all of the questions in the GMAT Focus database. Sign Up to access a comprehensive GMAT quantitative course.